London: The London Stock Exchange (LSE) is buying British publisher Pearson Plc’s 50% stake in FTSE International for £450 million (Rs 3,690 crore today) to take full control of the index firm and ramp up its derivatives business. “Crucially, it is an excellent fit for our growing derivatives operations and will help us develop new tradeable products," David Lester, director of information services at the LSE and chairman of FTSE International, said on Monday. LSE said the deal, which it hopes to close in the first quarter of next year, will be funded from existing resources, although it has commitments from banks for £350 million in additional debt for more “full financial flexibility". The transaction is central to LSE’s push into listed derivatives trading which began in June when it started offering a FTSE 100 futures via its electronic platform Turquoise in a direct challenge to NYSE Euronext’s Liffe. The deal also strengthens LSE’s links with asset managers, which use FTSE indices for benchmarking their funds’ performance, whereas LSE has traditionally had stronger ties with banks and brokers. Analysts said Pearson, which owns Financial Times (FT) newspaper, Penguin Books and a large education unit, had secured a decent premium for a business that was no longer core to its central strategy. “It’s a good price from Pearson’s point of view and it continues the process of them rationalizing their non-core assets," Panmure Gordon analyst Alex DeGroote told Reuters. “People in the market will likely make the follow-on observation that FT looks a more plausible sale candidate now than before but I’d make the point that there’s absolutely no need for them to sell it in a hurry," he added. 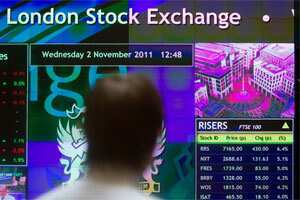 Shares in Pearson were flat, while LSE shares were down 4.5% and the FTSE 100 Index down 0.7%. The acquisition is the latest move by LSE chief executive Xavier Rolet to take tighter control of the various business units that LSE relies on to offer its trading, clearing, data and technology services. LSE’s largest European rivals—NYSE Euronext and Deutsche Boerse—are hoping to convince European competition authorities to back their $9 billion merger and last week were reported to be mulling spin-offs to allay antitrust concerns. Pearson CEO Marjorie Scardino said in a statement: “FTSE’s strategy is different from our own. We wish it every success as we continue to build our digital business information services around the Financial Times."